In the tradition of Post Secret and Other Peopleâ€™s Love Letters, a crowdsourced compilation of letters, stories, and art work about the modern state of love and relationships, edited by rising filmmaker and beloved YouTube vlogger Will Darbyshire. This is the question filmmaker and vlogger Will Darbyshire posed to hundreds of thousands of his closest friends on YouTube. Seeking closure after a tough break-up, Will was driven to strike up an intimate conversation with his online audience, and to get at the heart of one of lifeâ€™s unknowable yet universal mysteries: love. The result is a curated collection of responses that are, at turns, funny, dark, confessional, awkward, comforting, and uplifting. 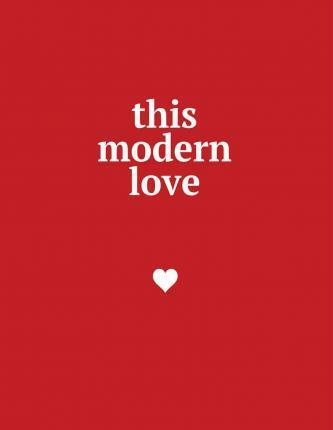 This Modern Love is a compelling portrait of individual desires, fantasies, resentments, and fears that reminds us that, whether weâ€™re in or out of love, weâ€™re not alone.